Duro-Last Metal Retrofit Roofing was installed on the Calvary Church. Previous attempts to repair the deteriorating metal had failed. 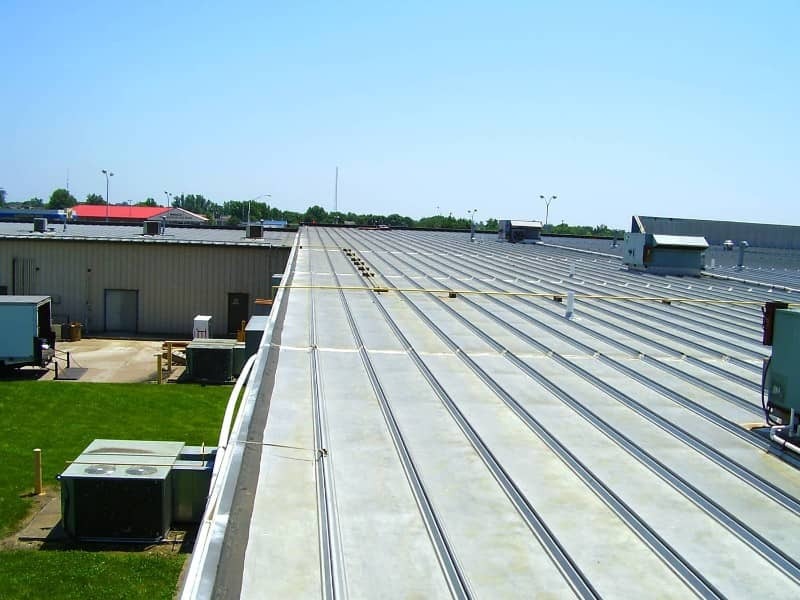 Riddell Roofing used a three-inch flute filler to level the roof and a two-inch high-density insulation board to improve energy efficiency. This gave the building a Class 4 hail rating. Duro-Last gutters were also installed to aid in bulk water drain off.